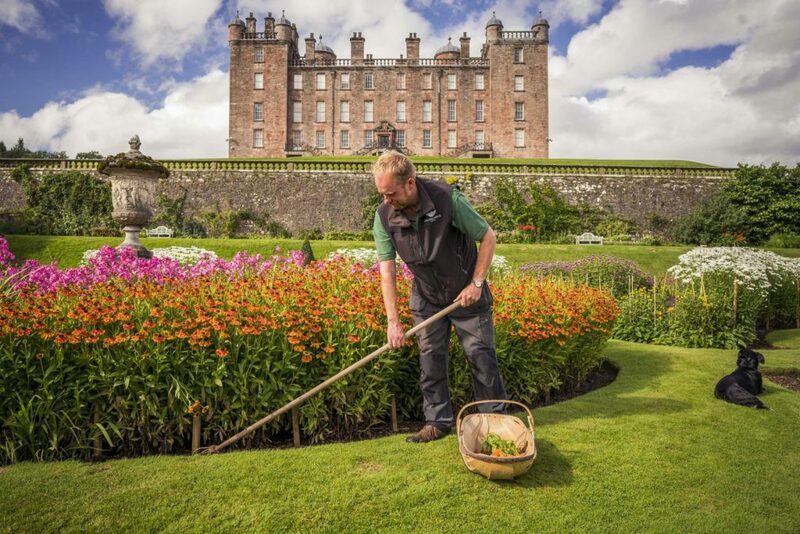 Drumlanrig Castle and Country Estate is calling out for green-fingered volunteers to help its team of gardeners by aiding in the up-keep of the stunning Castle gardens. Volunteers will be involved in a whole host of activities including planting bulbs, weeding and tidying up garden beds. There will even be opportunities to enjoy bonfires against the wonderful backdrop of the distant Lowther hills. For several years Drumlanrig Castle and Country Estate has hosted fortnightly Monday morning Ranger sessions, which have provided a chance to get behind the scenes of this popular Estate and make a positive contribution to the local area. New for 2019, the garden volunteer sessions launch in February and will be run by head gardener Robbie Black, who has been managing the Castle gardens for more than 22 years. Volunteering at Drumlanrig will be a great chance to gain some of his wisdom and get some expert advice for your own garden. Robbie said: “We take the utmost pride in the gardens here at Drumlanrig Castle and would love to be able to get some of the local community involved. “There are so many benefits to being outdoors and learning new skills. We hope new volunteers will be encouraged to get involved this year, as it’s an ideal way to blow away some cobwebs and get active. Garden volunteer sessions take place fortnightly, starting on Monday 18 February, from 10.30am – 2.30pm. Participants are encouraged to bring waterproofs and sturdy shoes as well as water and lunch. To learn more or sign up please call 01848 331 555 or contact rangerservice@buccleuch.com.